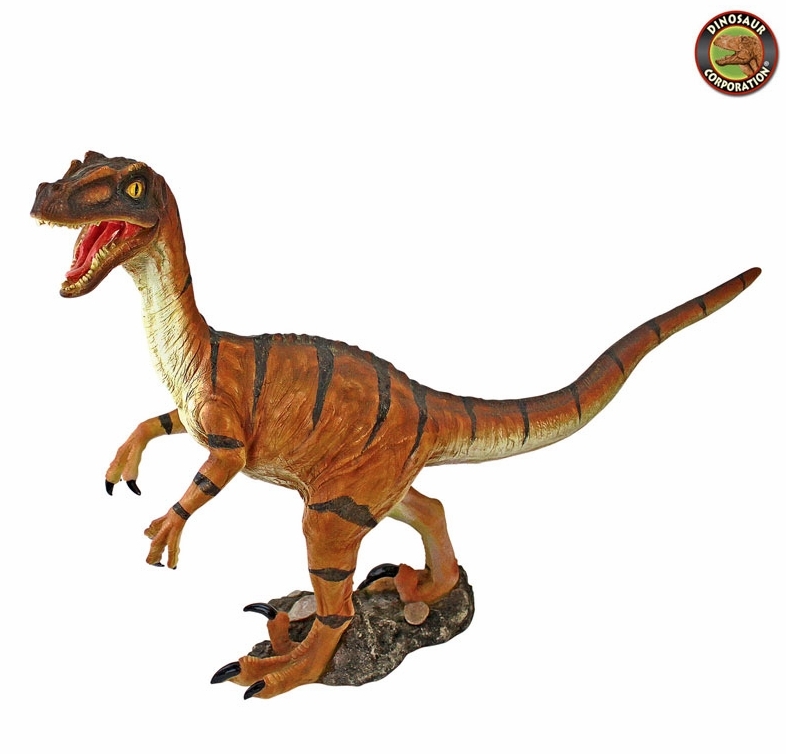 Home | STATUES | Velociraptor Scaled Dinosaur Statue 20"
This scaled Jurassic Velociraptor dinosaur statue promises to prowl your flowerbed with impact! Realistically sculpted with rows of menacing raptor teeth, a fearsome dinosaur tail and scaly skin. Our prehistoric statue is cast in quality designer resin and hand-painted with powerfully convincing color and texture. 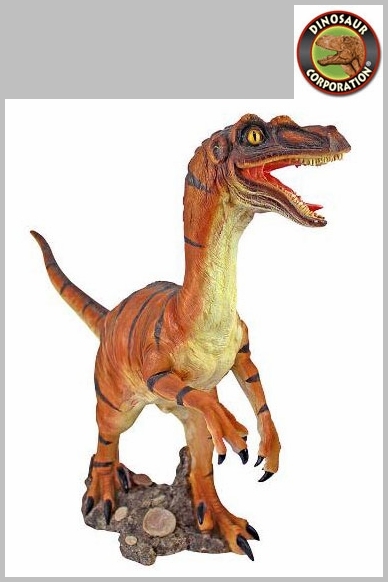 Visitors will admire your creative garden style as our menacing Velociraptor sculpture makes a Mesozoic statement!